The difference in SkinMedica products comes from the brand’s approach to addressing dermatological concerns. Many brands work solely on the visible damage and signs of stress that plague the complexion, leaving the inner workings of skin biology largely ignored. The result is minimal improvements in only the outward appearance of the skin, and often, any changes are soon overshadowed by ever-advancing damage. With the SkinMedica approach, the root causes of skin imperfections are taken into consideration when creating product formulas. The brand has developed revolutionary ingredients that act on the skin cells themselves to repair and rejuvenate the structures that have been damaged due to environmental free radicals and pollution. By addressing the causes of signs of aging, SkinMedica promotes healing and regeneration, which can decrease the chances of rapid aging in the future while simultaneously diminishing the appearance of existing wrinkles and lines. Aging may be inevitable, but it can be beautiful. That is the motto of SkinMedica, a company which has been creating skin care treatments for more than 10 years. It has always been their philosophy that everyone deserves to have naturally radiant skin, and that it is their goal to help make that possible. This isn’t a matter of wistful hopes, however, but of practical application of science, experience and innovation to the real challenges of skin physiology. By dedicating years to careful, science-based research and clinical testing, SkinMedica has been able to create skin care treatments that bring innovative breakthroughs to the problems of aging skin. Aging skin is one of the primary focuses of SkinMedica which is why there is a large variety of SkinMedica Treatments to choose from. You can add these specialized products into your daily regimen for quick and impressive results. These concentrated results oriented products target specific issues related to aging skin such as lines and wrinkles, discoloration, loss of firmness and age spots. The products offer a combination of reparative and protective ingredients. 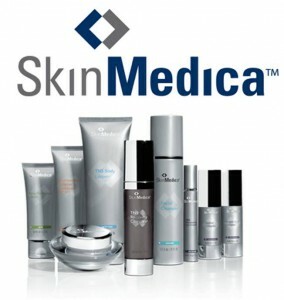 You can also address other concerns with the help of SkinMedica Treatments. 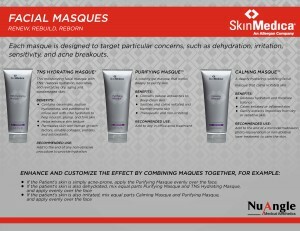 Solutions for common issues such as dryness and dehydration as well as persistent redness can be found in this line. SkinMedica TNS Essential Serum takes on aging skin by combining its growth factor technology with other proven effective age fighters. Peptides increase collagen production, resulting in firmer and more elastic skin. Antioxidants repair damage while also protecting the skin against assailants which can induce even more damage. Regular use results in stronger skin that is better able to heal itself and withstand the effects of external as well as internal aggressors. The skin becomes brighter with a more even tone. 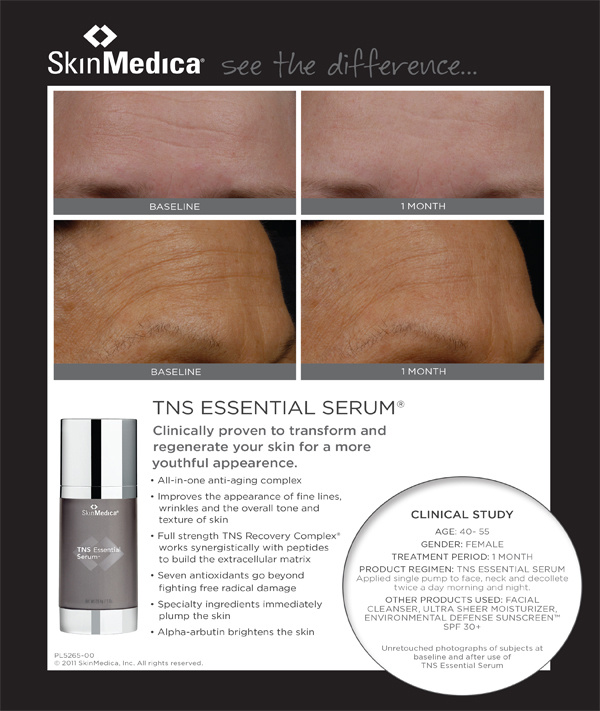 SkinMedica TNS Essential Serum smoothes the skin’s surface and makes it appear tighter. SkinMedica TNS Recovery Complex is also a powerful anti-aging treatment that combines growth factors along with antioxidants, proteins and collagen to help address most major concerns associated with mature skin. The serum is particularly beneficial to those with rough, uneven, sun damaged skin. Acne is a very common skin concern, affecting millions of Americans. Many people think that the problem only occurs during adolescence but the truth is that people of many different age groups battle problem skin, experiencing occasional or routine breakouts. Mild to moderate acne can usually be addressed with the use of effective over the counter products. The best way to achieve clear skin and maintain a problem free complexion is to commit to an entire skin care system that will treat blemishes and prevent future breakouts. SkinMedica Acne System is a three step kit that is very effective at addressing problem skin and promoting ongoing clarity. The first step is the Acne Treatment Foaming Wash which eliminates excess oils, makeup, dirt and impurities while salicylic acid clears the pores and treats blemishes. This is a mild cleanser that won’t leave the skin feeling dry and tight. Purifying the skin is one of the best ways to prevent new blemishes. The second step is the Acne Treatment Toner which balances the skin while clarifying the pores and reducing inflammation often associated with a problem complexion. This toner prepares your skin for moisturizers and treatment products. The third step is the Acne Treatment Lotion which contains the bacteria killing medicine benzoyl peroxide along with oil absorbers. The lotion clears up blemishes without ravaging the skin. SkinMedica Tri-Retinol Complex refines the skin by encouraging skin cells to turn over and slough off faster. As this occurs, the skin takes on a smoother and more refined quality with increased firmness and elasticity. This is a gentle formula that minimizes the irritation that many experience when using retinoids. This is a great product for those who have uneven skin tones with discoloration. The complex allows dead and dull skin cells to slough off, promoting a smooth finish. 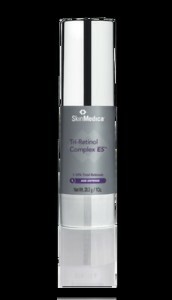 Even enlarged pores can be addressed with regular use of SkinMedica Tri-Retinol Complex. If you are wanting to take better care of your skin and aren’t sure how to go about choosing the right products, turn to the expertly packaged SkinMedica Regimens for help. They are very easy to use and can be taken with you when you travel so you’ll get great results no matter where you are. Many happy customers have relied on SkinMedica Regimens for complete skin care programs geared towards delivering a healthier, more beautiful complexion. In order to get the best results from your skin care, it is ideal to select one of the SkinMedica Regimens that is best suited to your skin type and commit to a regular program using all of the products. Persistence pays off when it comes to skin care and you will soon notice the benefits.